The OmiCronFX Silver Trigger algorithmic routine, used with the insights provided by decent Fundamental and Technical Analysis, has been delivering impressive results. It was developed for the JForex programmable trading platform provided to us, along with access to their trading servers and the JForex Application Program Interface (API), by Dukascopy Bank of Geneva, Switzerland. Because the retail trading space is dominated by a rival platform, MetaQuote’s MetaTrader 4, or MT4 (although we continue to believe that JForex is superior, both technically and in depth of features), it was deemed necessary to code a version of the Silver Trigger for this platform also. Dukascopy does not supply the MT4, so we had to open an account with a broker that does. On 10th October 2013 we started trading this account. This morning, November 25th 2013, after operating for a little over six weeks, it has achieved a profit of 40%, with charges accounted for. This is a simulated account, but it is operated in real-time and reflects well the trading conditions that would be experienced using a live one. The complete account statement is here. All trades from the opening of the account up to the present are recorded. We are now working on a new routine, which will be available to our Level 2 subscribers as a normal part of their entitlements. While the Silver Trigger is extremely valuable in deciding the optimum position size and timing for entry to trades that have been selected as being of High Probability, and managing them using the tried and tested principles of risk aversion and profit maximisation, we nevertheless have become aware that we are missing some trades that do, in fact, fill our criteria for selection based on the likelihood of them changing or entering a trend, but which we have only become aware of after the fact. The Mandelbrot routine, to give it its working title, will overcome this problem. Part of the specification for the new routine is also that it should keep us in trades for longer when they are trending. We are looking forward to using it to test the length and value of trends in different time frames using archived data and the historical tester. 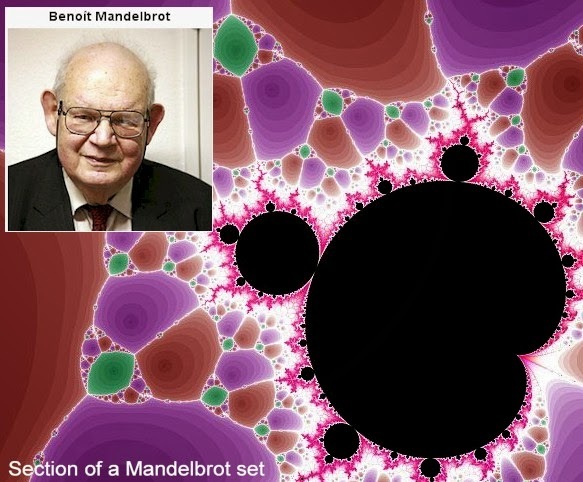 This aspect of study (which will also be available to subscribers) will touch on the work of Benoit Mandelbrot (pictured above), who developed a theory of fractal geometry. Mandelbrot has been greatly praised by Nassim Taleb, now an academic but with a financial trading background, who wrote “The Black Swan” (this is recommended reading). Taleb also has time for Ed Thorpe, who he claims developed the principles of the famous Black-Scholes equation for pricing options before Black, Scholes and Merton used it to great effect to garner the Nobel Prize for the latter two. Black had died by the time the Nobel Prize came around. Thorpe is a mathematician and early quant who developed many techniques for winning both in investment and in gambling. He is of interest as the founder of Princeton-Newport Partners. For nineteen straight years this fund achieved vastly superior profits “…through diversification, fractional Kelly [Criterion] position sizes and a philosophy of erring on the side of caution” and careful selection of its trades, according to William Poundstone, who wrote “Fortunes Formula”, another recommended book. The Silver Trigger routine uses aspects of the Kelly Criterion.